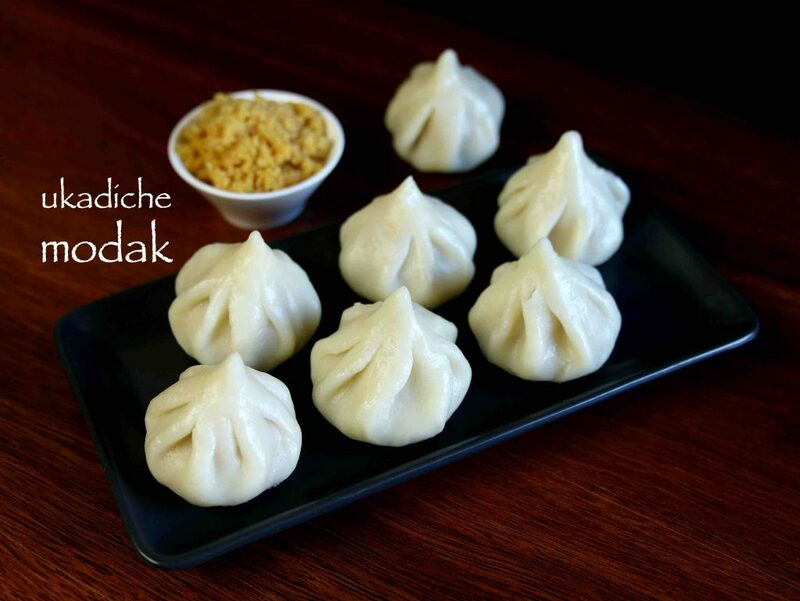 modak recipe | ukadiche modak recipe | plain steamed modak with detailed photo and video recipe. a traditional indian sweet dumpling, prepared with rice flour dough and coconut – jaggery stuffing is mainly served to lord ganesha during ganapathi chauthi festival. 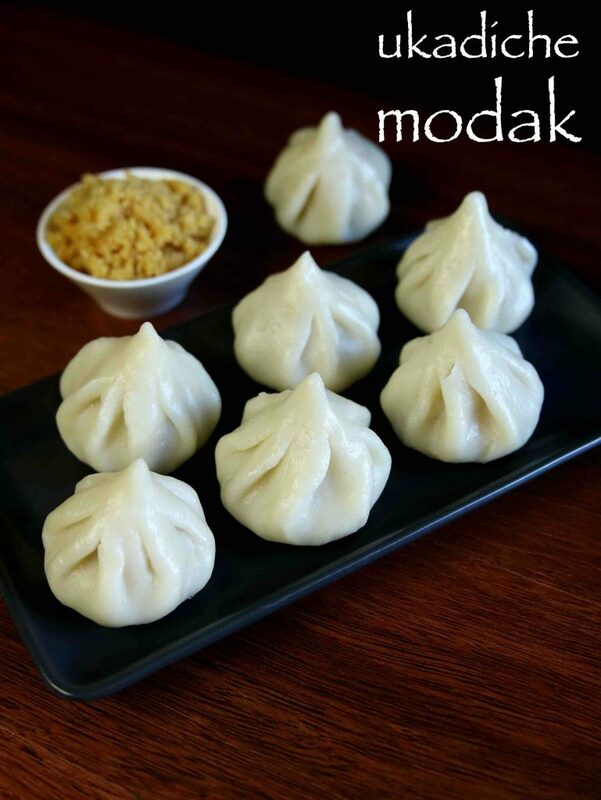 generally the modak’s are steamed with steamer, but it can also be prepared with frying and even baking. 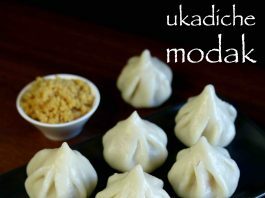 ukadiche modak recipe | recipe of modak | plain steamed modak with step by step photo and video recipe. modak sweet is the favourite sweet of hindu god ganesha and is one of the main sweet offered during ganesh chaturthi. 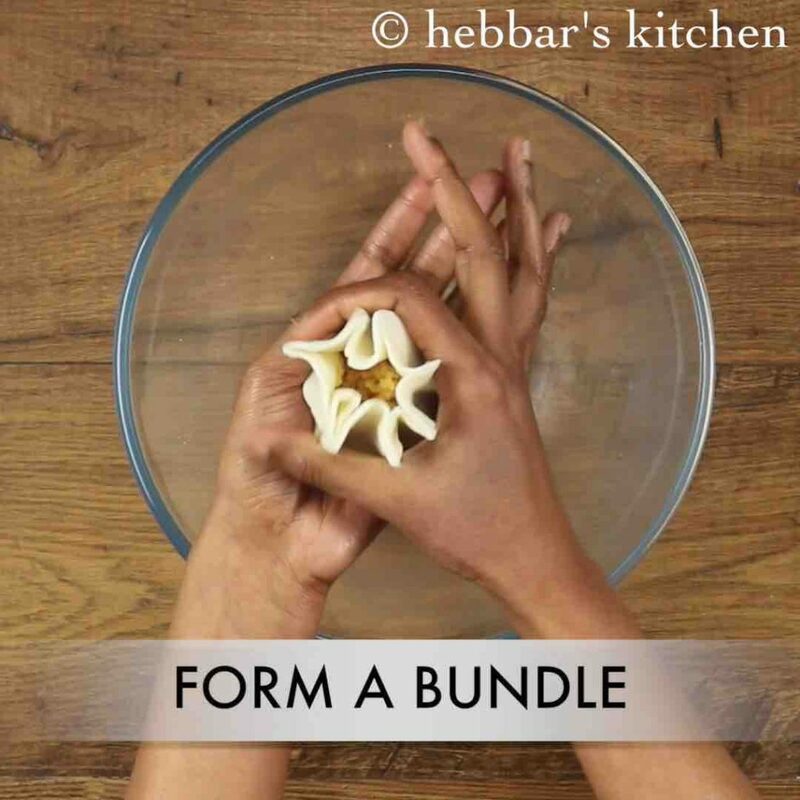 these days, there are several variations to the traditional ukadiche modak recipe, but typically it is prepared with rice flour and coconut – jaggery stuffing. ganapathi festival is always incomplete without the traditional ukadiche modak recipe offered to lord ganesha. this festival is celebrated with lot of enthu and zeal all over india, but there is a lot of excitement with the marathi community in maharashtra. the celebration can go upto 10 days and each day, modak recipe is a must offering with other sweets to the diety. hence lord ganesha is also popularly known as modakapriya because of his love to this simple sweet. in addition there are several rituals to the offering and the most common one is to offer 21 modak which is also known as bhog to ganapathi. 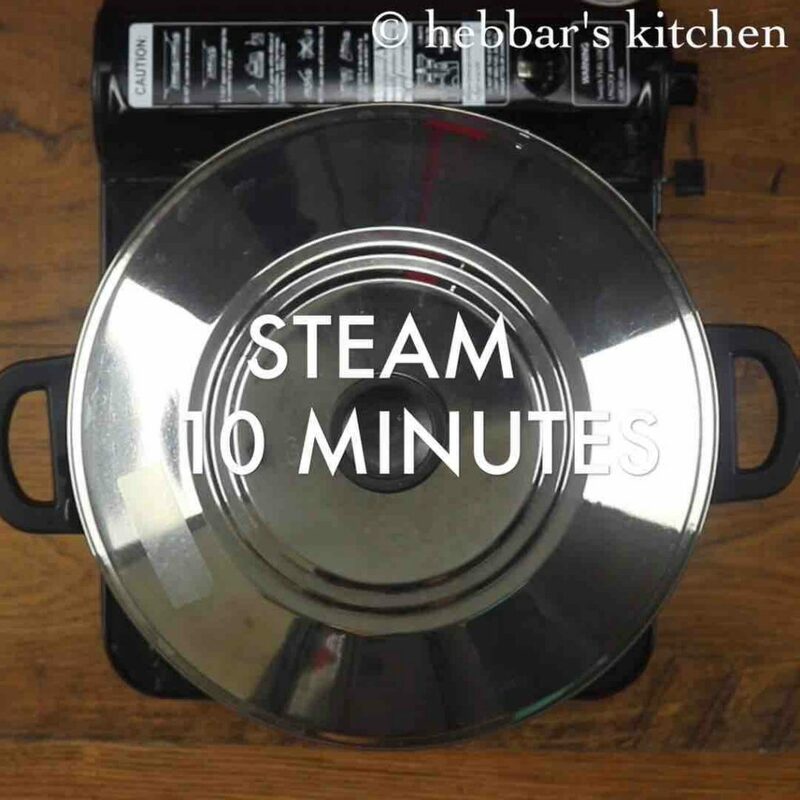 furthermore, some key things to remember while preparing the traditional plain steamed ukadiche modak recipe. 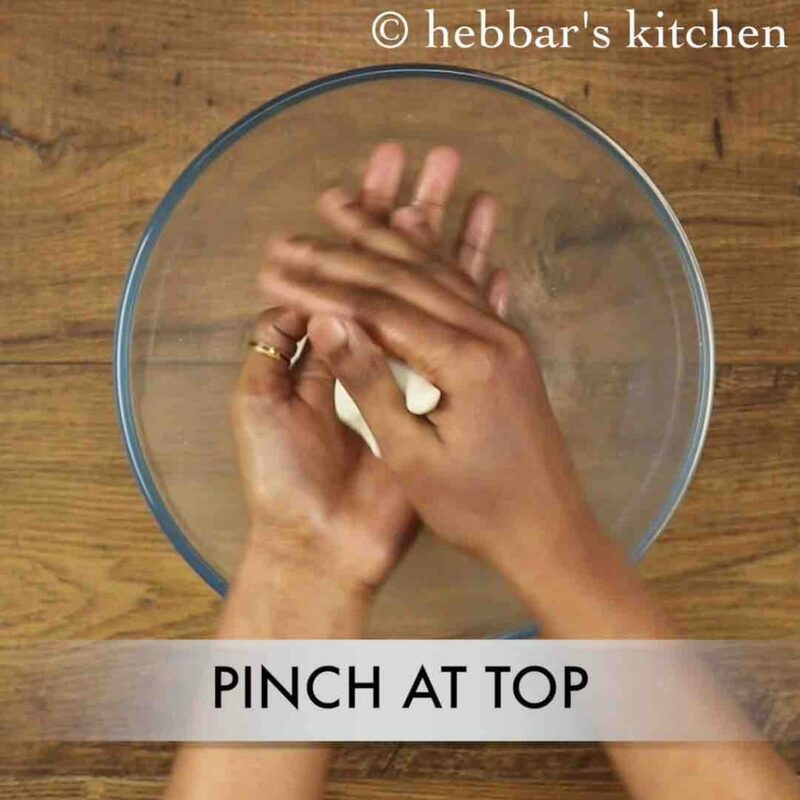 firstly, use fine store brough rice flour as it helps to make smooth dough. also, adding a tsp of ghee while preparing dough makes dough non sticky and tasty. 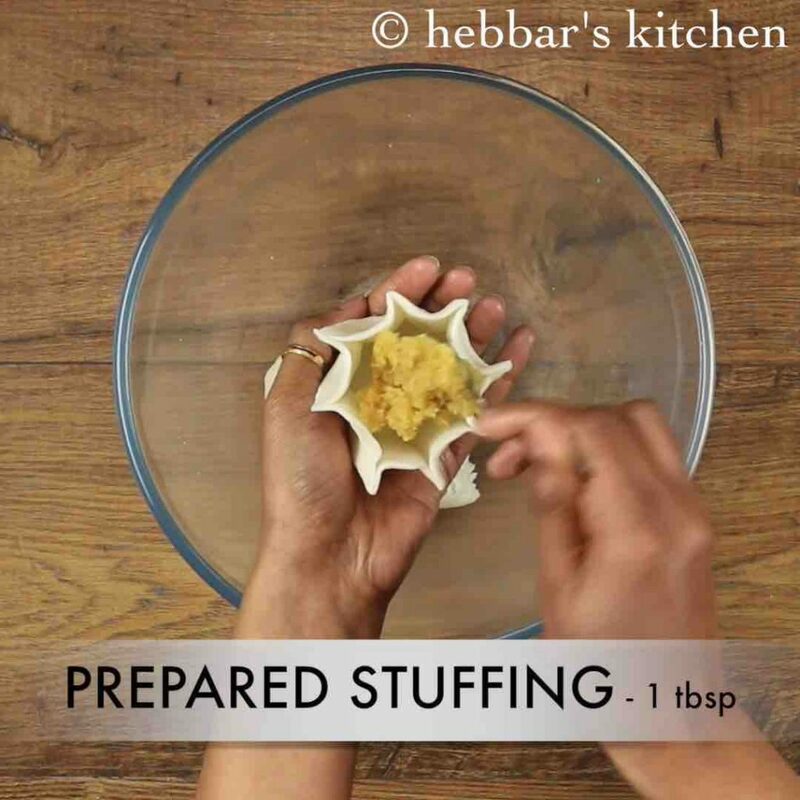 lastly, vary the stuffing according to your choice, however i like to keep my stuffing simple and delicious. firstly, prepare the stuffing from jaggery and coconut. 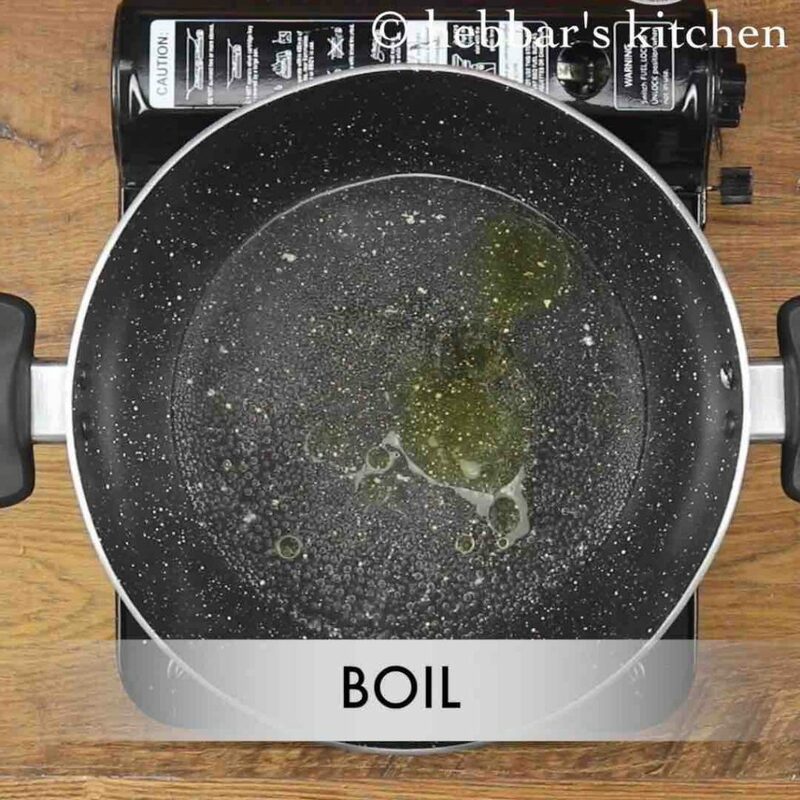 in another kadai boil 1 cup water, ¼ tsp salt and ½ tsp ghee. 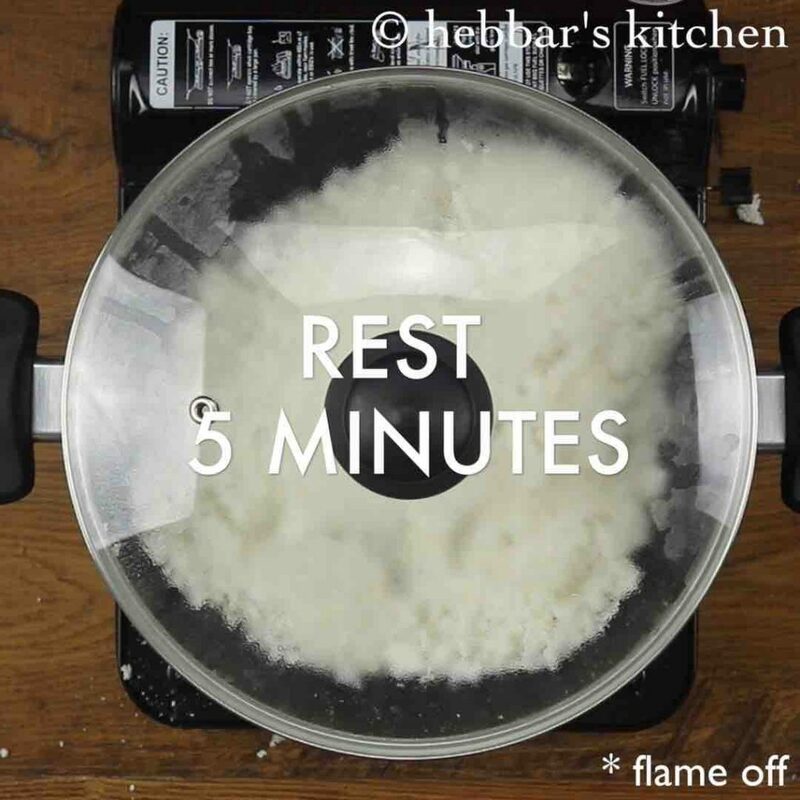 turn off the flame and add 1 cup fine rice flour. mix the flour well with water. do not worry if the dough is dry. cover and allow to rest for 3-5 minutes. 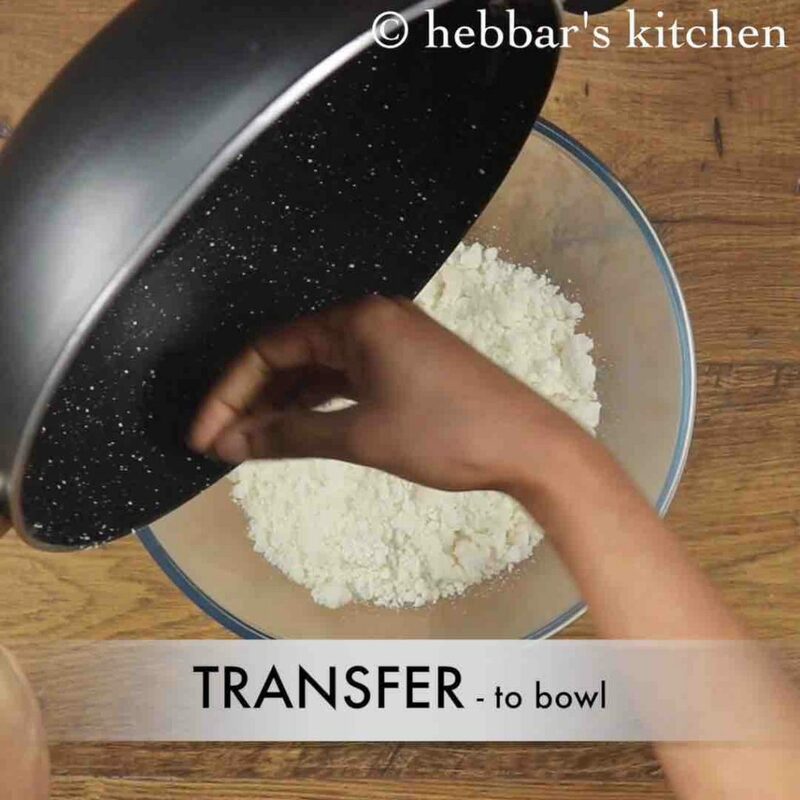 now transfer the rice flour mixture into large mixing bowl. 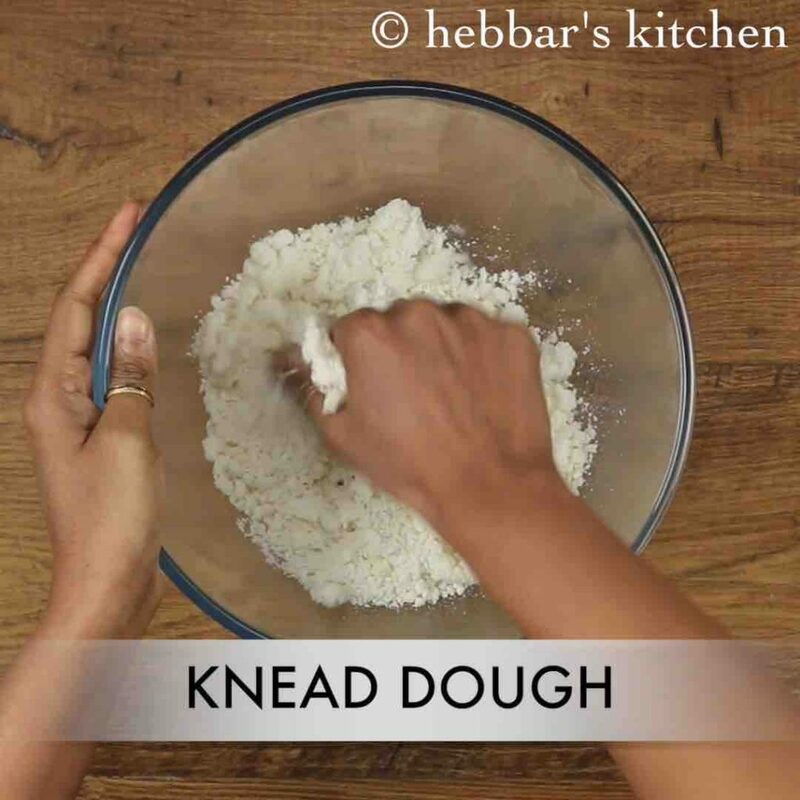 when the flour is still hot, knead with your hand. 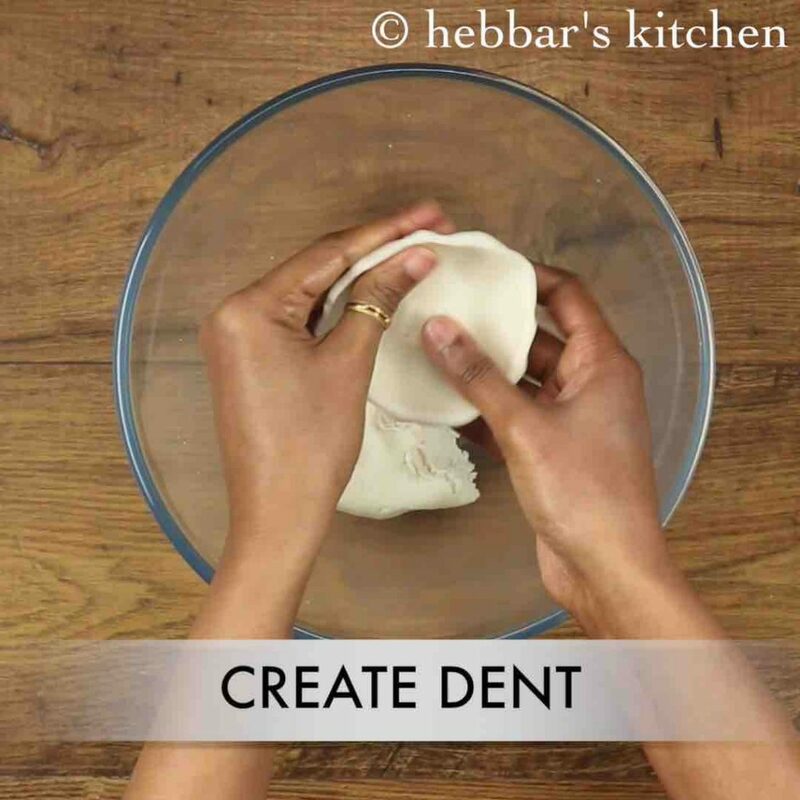 sprinkle water if required to form a smooth and soft dough. 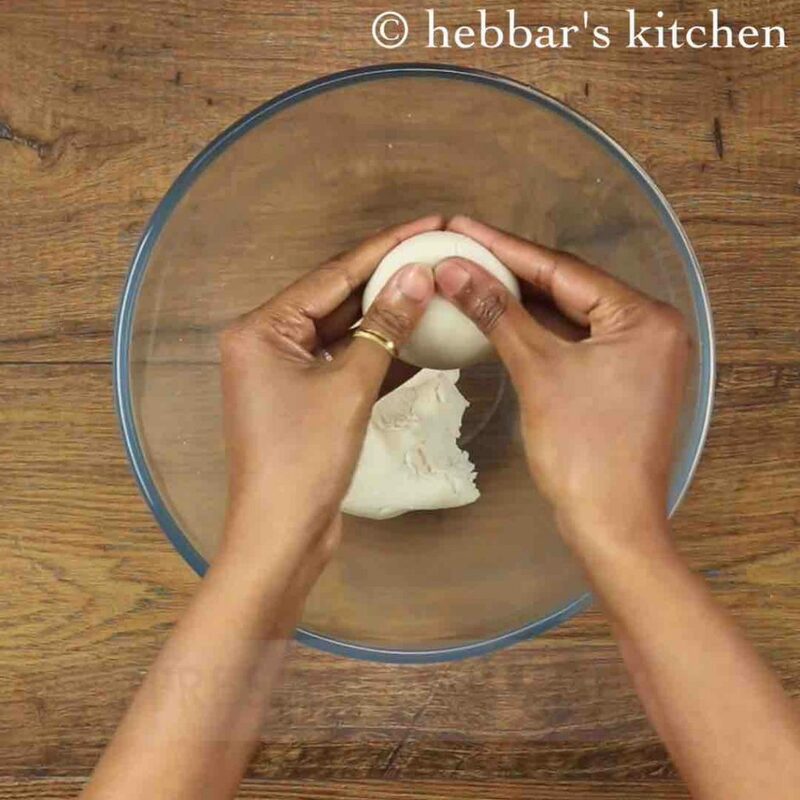 furthermore, pinch a small lemon sized ball and flatten it. with the help of both thumbs start pressing the edges and create a dent in centre. 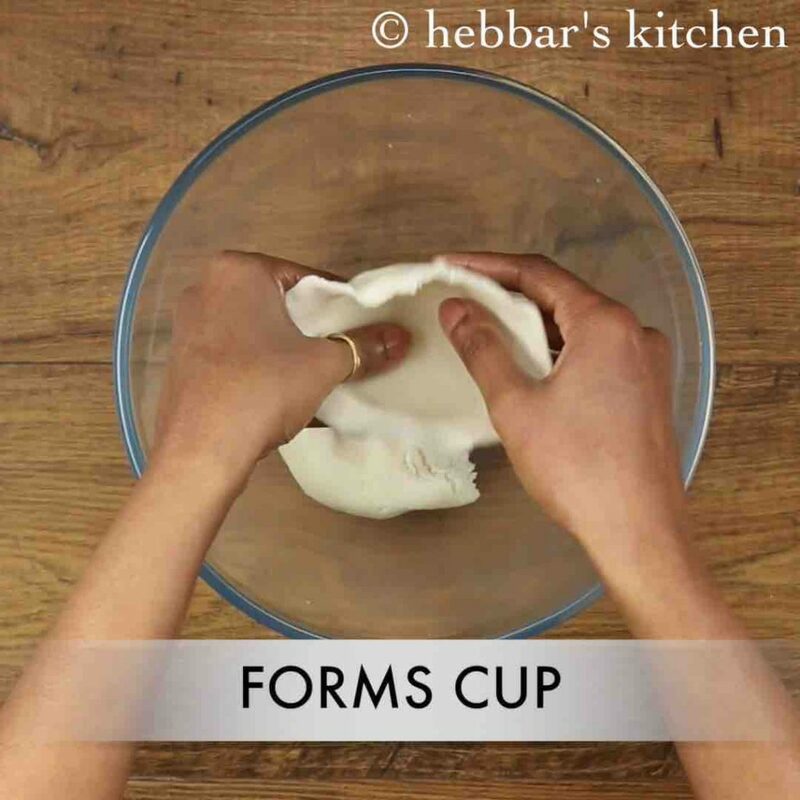 slowly press from edges till it forms a cup. start creating pleats with your index finger and thumb. 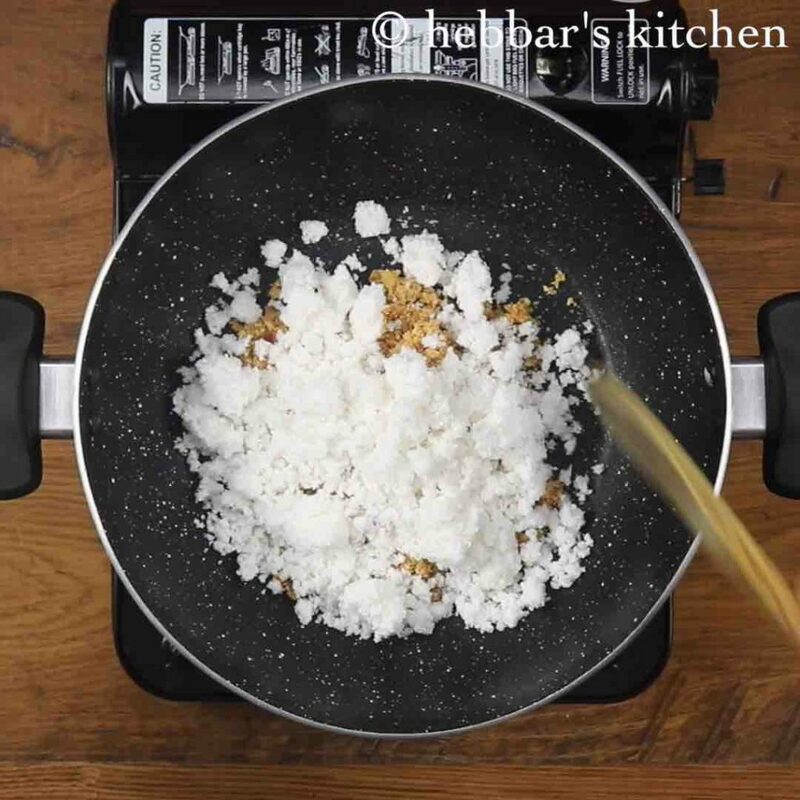 now scoop a tbsp of prepared coconut-jaggery stuffing. get the pleats together to form a bundle. close the top by pinching and making it pointed. place the modak in steamer leaving gaps in between. 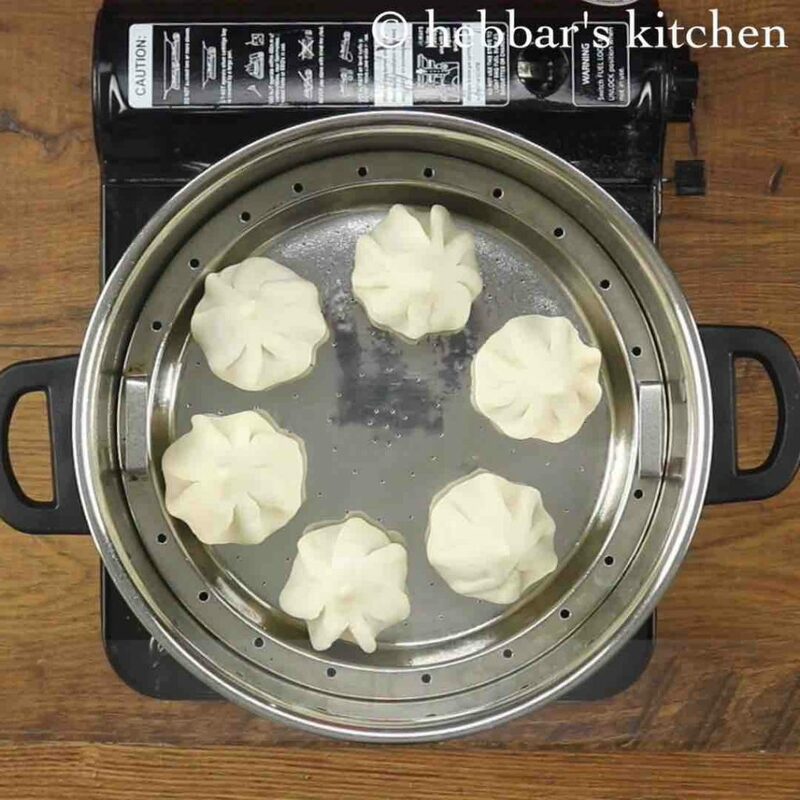 cover and steam the modak for 10 minutes or till the shiny texture appears on them. finally, offer ukadiche modak to lord ganesha and celebrate ganesh chathurthi. firstly, in a large kadai take ½ cup jaggery and 1 cup grated fresh coconut. 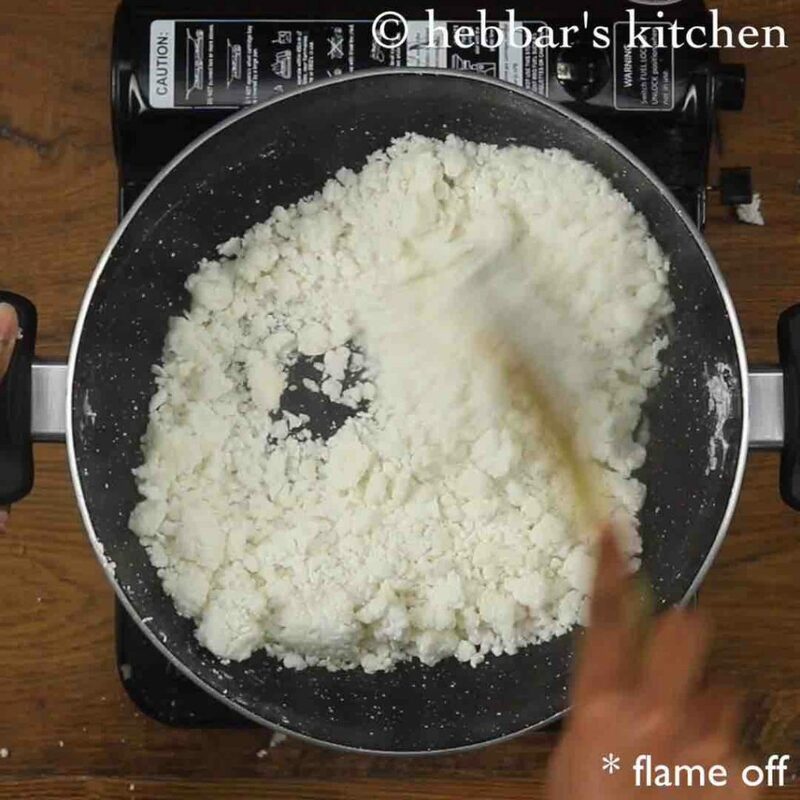 keeping the flame on medium, mix well till the jaggery melts and mixture is formed. 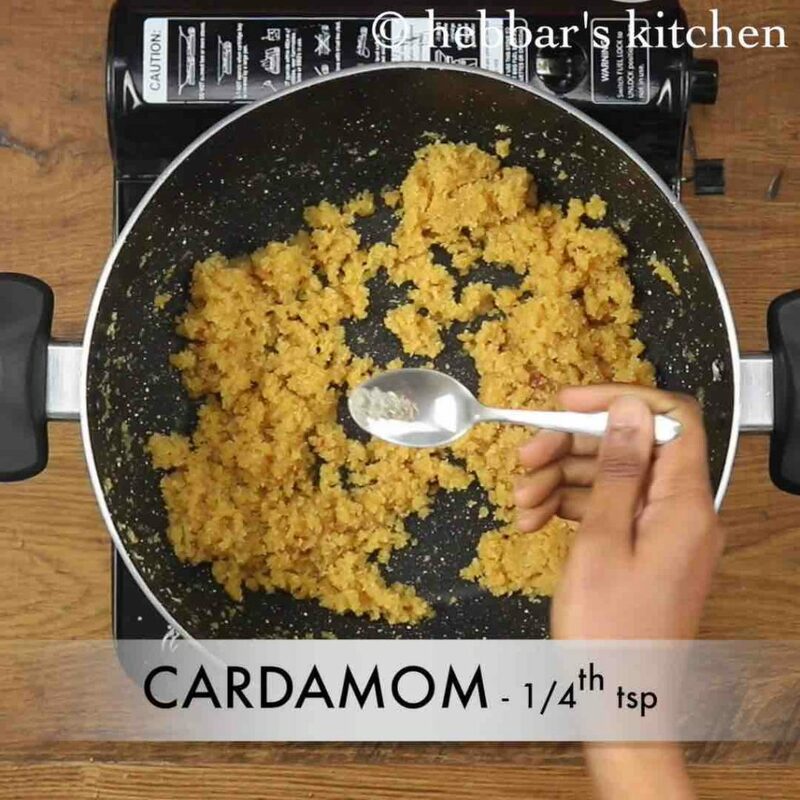 add in ¼ tsp cardamom powder and mix well. stuffing is ready, keep aside. 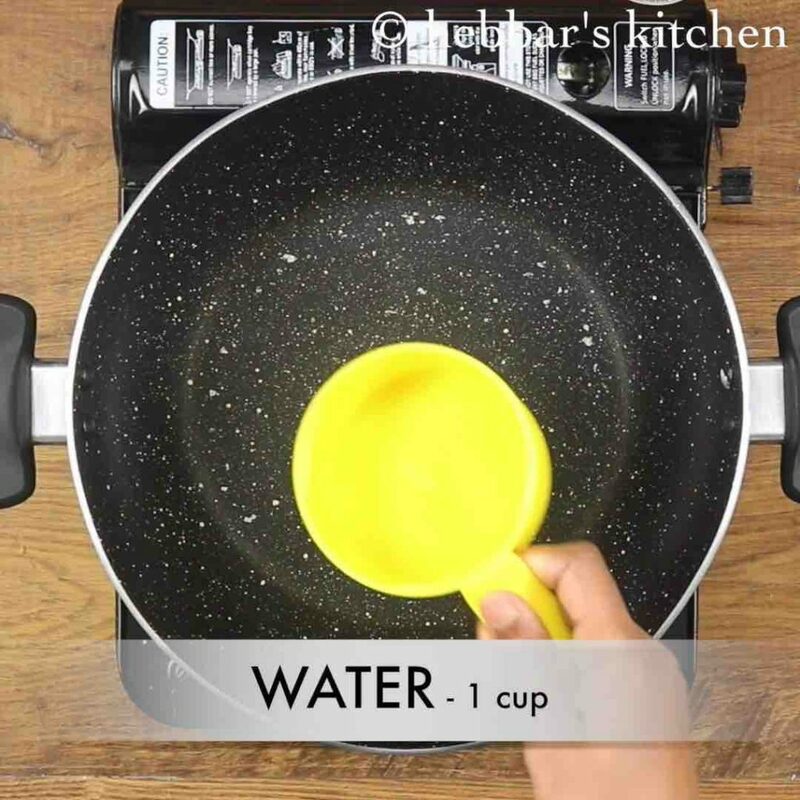 in another kadai heat 1 cup water. 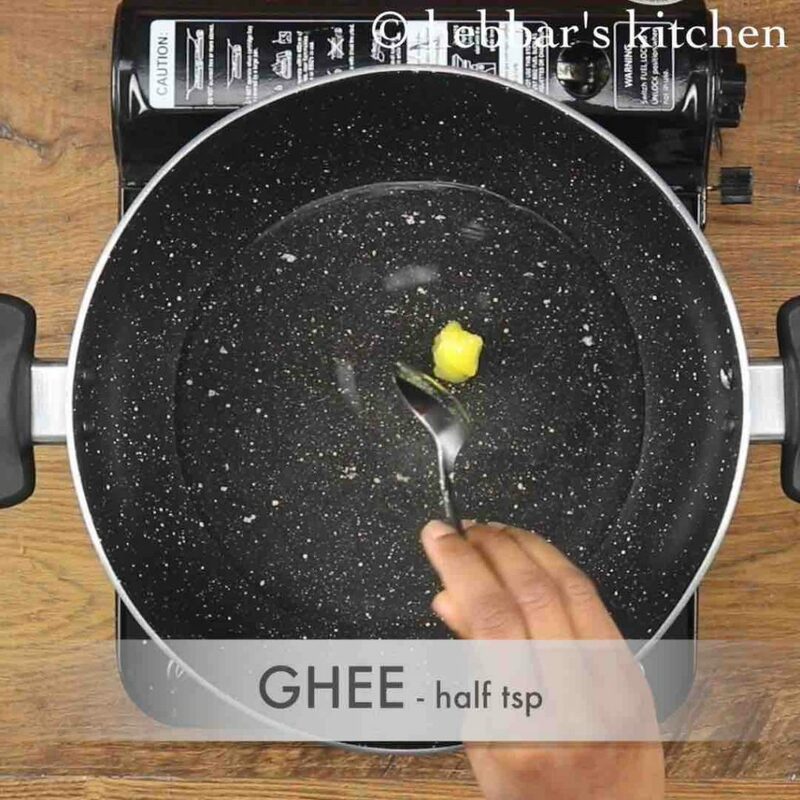 add in ¼ tsp salt and ½ tsp ghee. get the water to boil on medium flame. 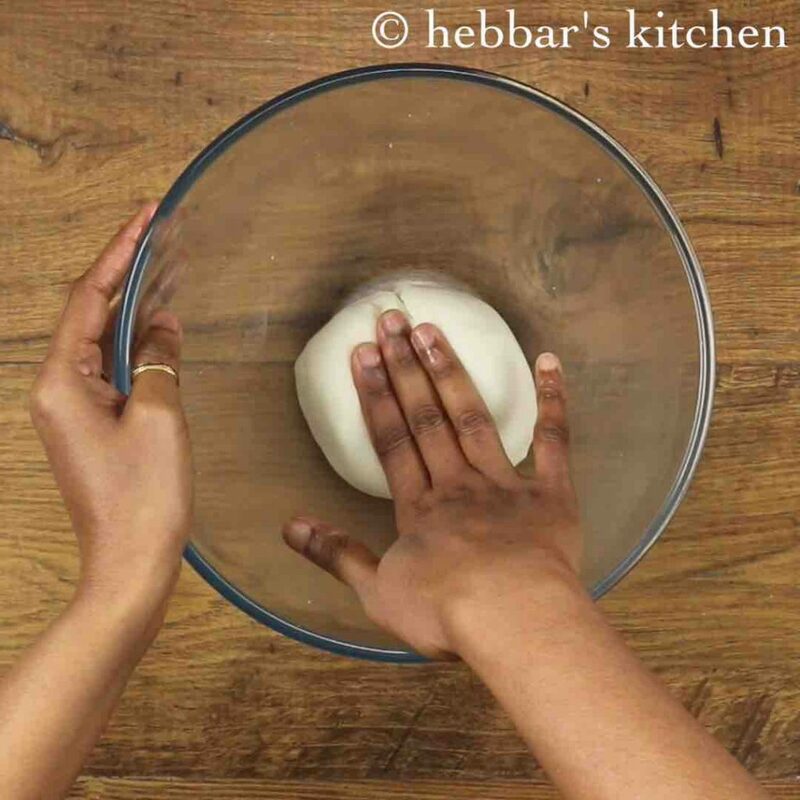 sprinkle water if required to form a smooth and soft dough. else when you prepare modak, it breaks. firstly, varry the stuffing of your choice by adding few dry fruits, sesame seeds and poppy seeds. further, knead the dough well adding required amount of water and ghee till it forms smooth dough. also if the modaks break while you are pressing and creating cup, do not worry. sprinkle water and ghee, knead well. 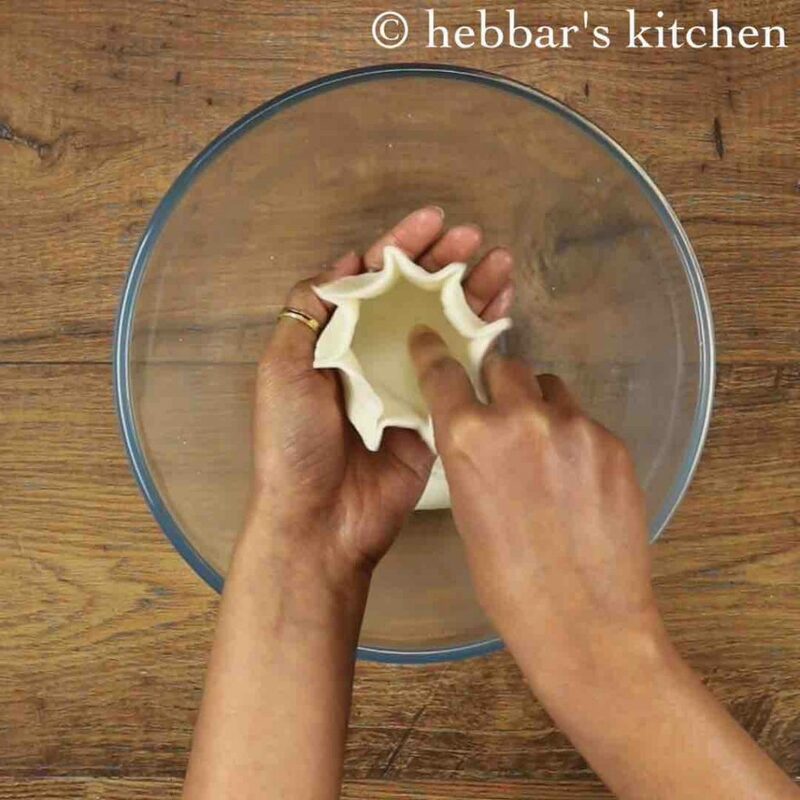 finally, your hands with water before you start preparing ukadiche modaks, else it will stick to your hand. 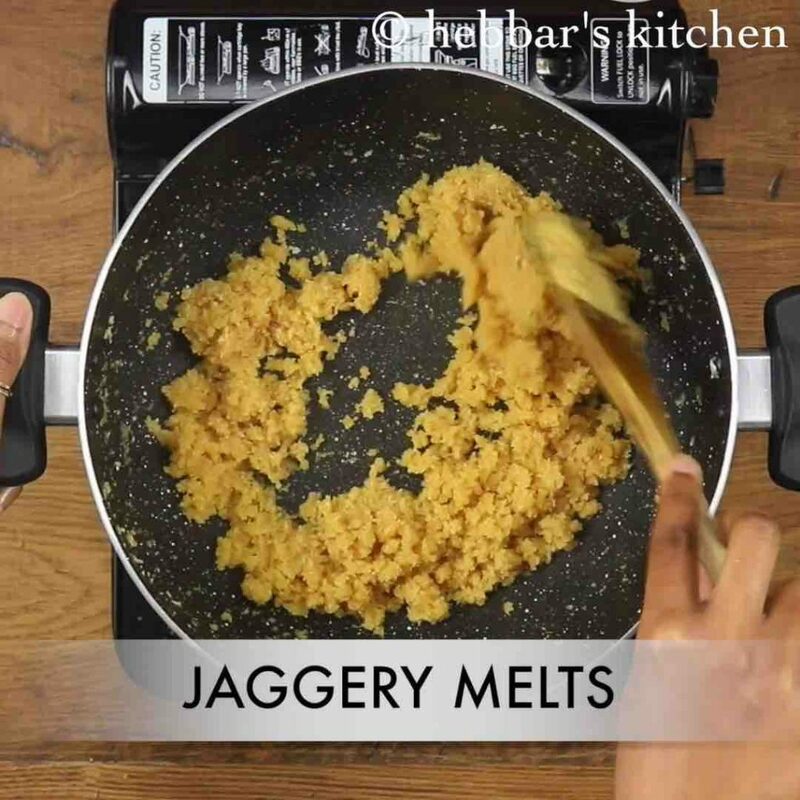 I tried this recipe, the jaggery part came perfect.. but the rice flour even after steaming came hard.. any suggestions on how to make it soft?? Thank you! you need to knead rice flour dough well.. else it turns to be hard.. over steaming also turns modak hard. 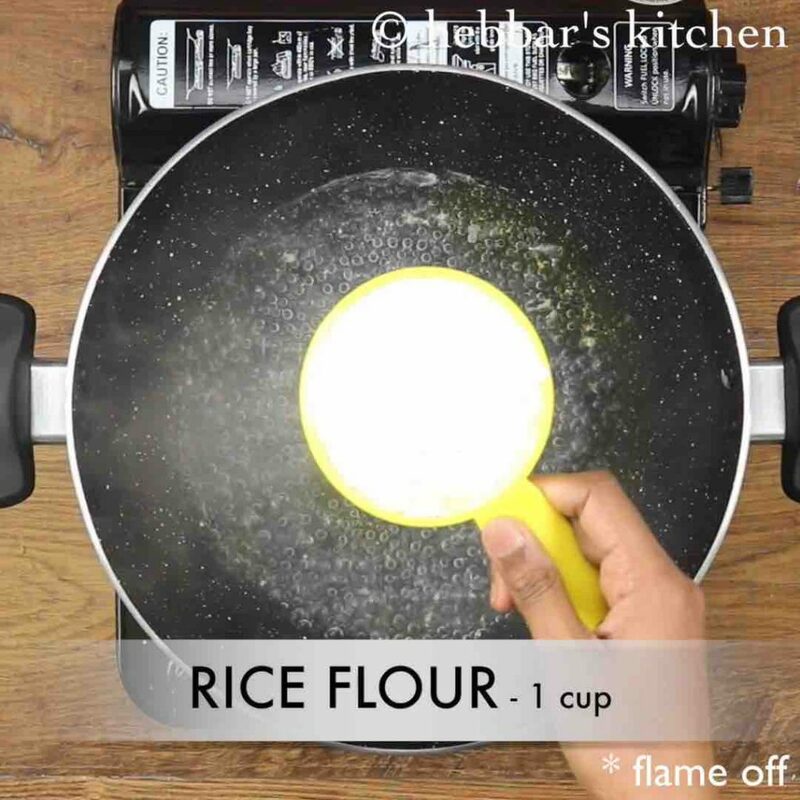 is the rice flour used glutinous rice flour? i used fine rice flour. my kozhukattai flour had gone sticky.. pls drop some ideas as how to make it dry..
have you added more water?? try to knead the dough with a tsp of ghee..
wat could be the grated coconut & rice flour replacement?